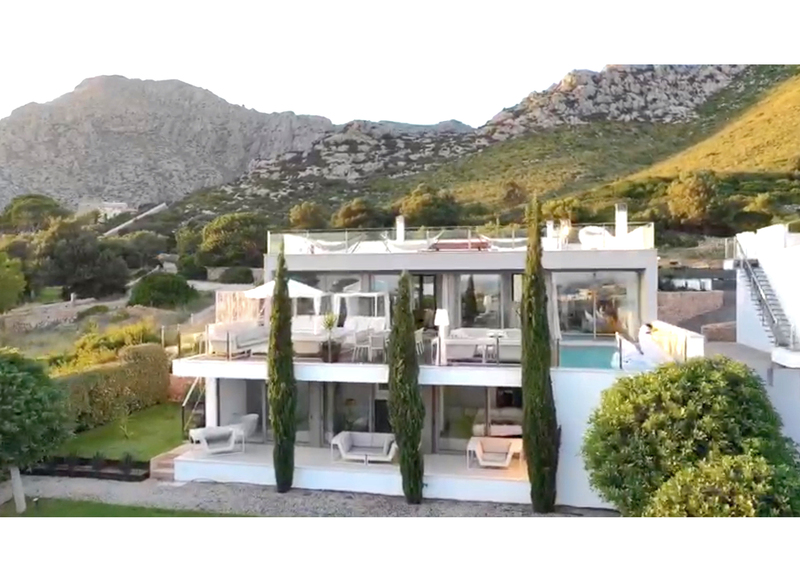 Luxury 4 Bedroom, 4 Bathroom Villa with Sea View and a Private Heated Swimming Pool , Air Conditioning, WiFi, Gym, Table Tennis, Satellite TV, near Golf, Sleeps a maximum of 8 people. 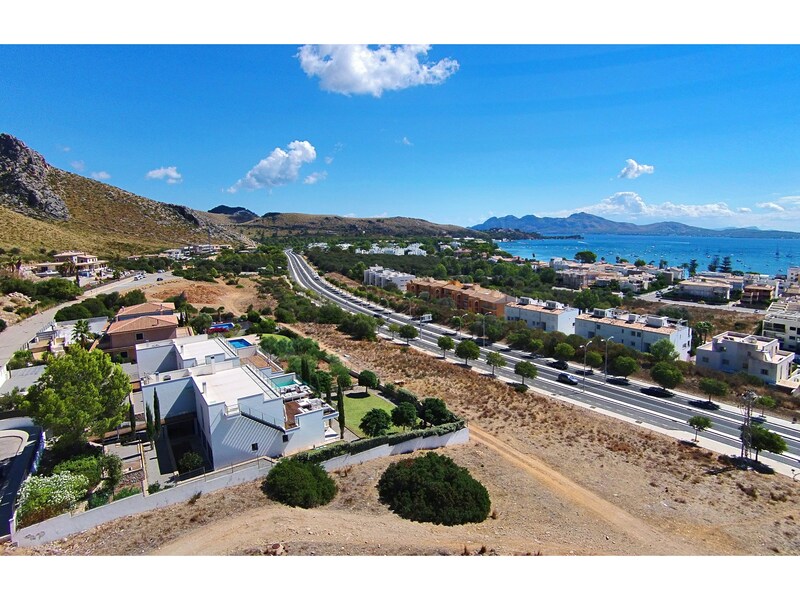 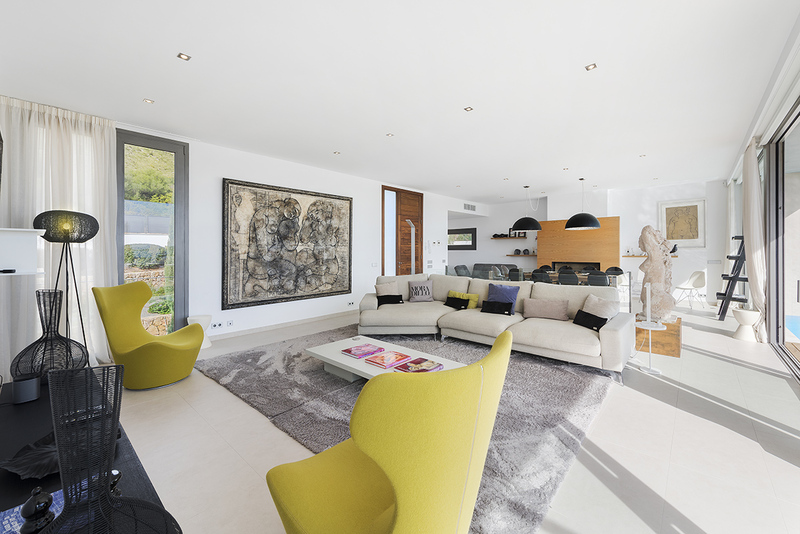 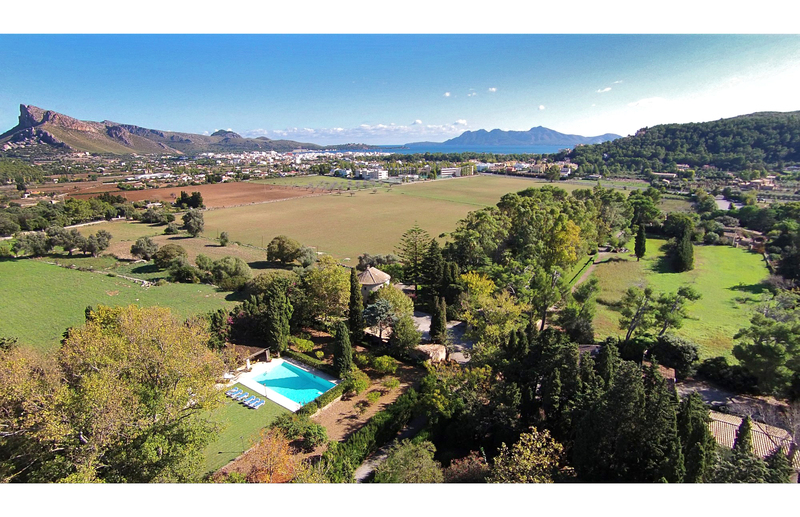 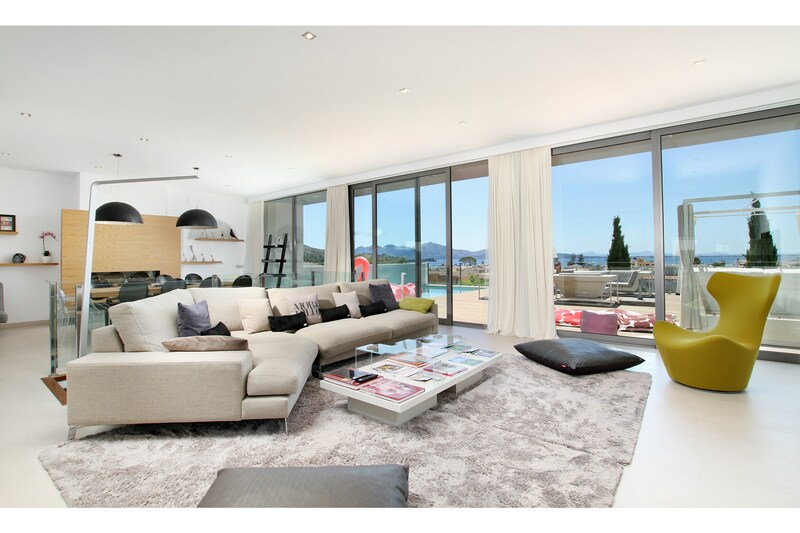 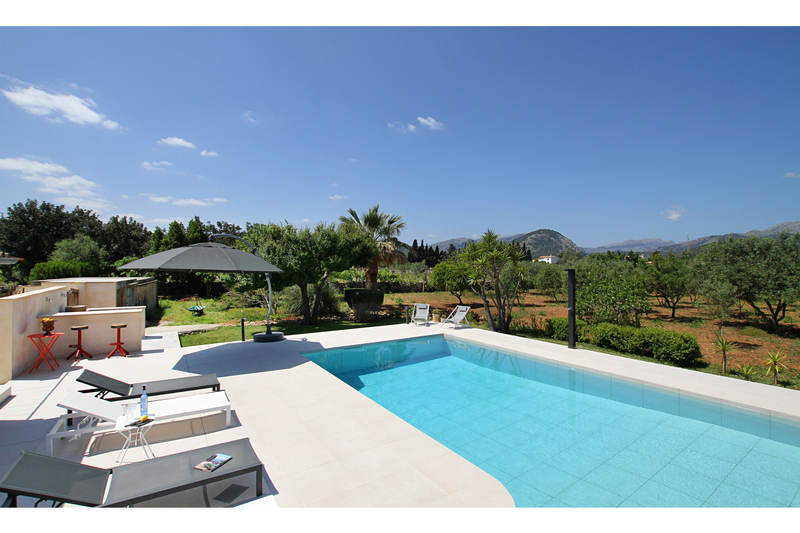 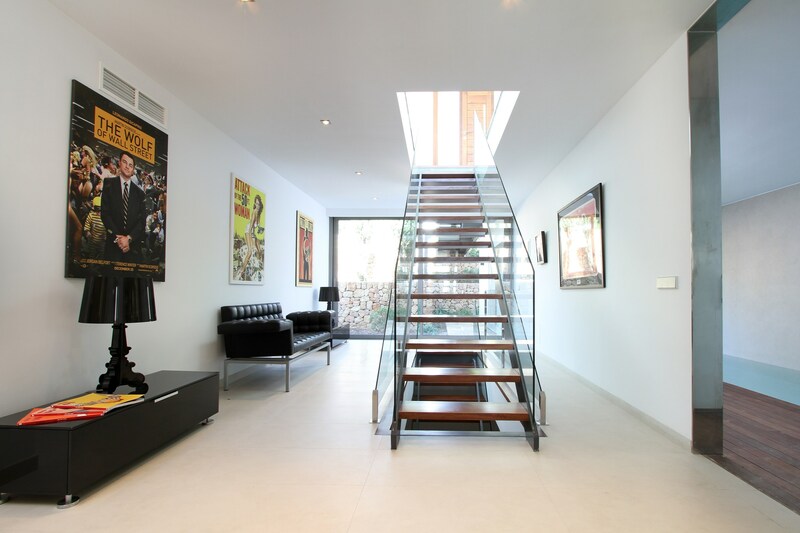 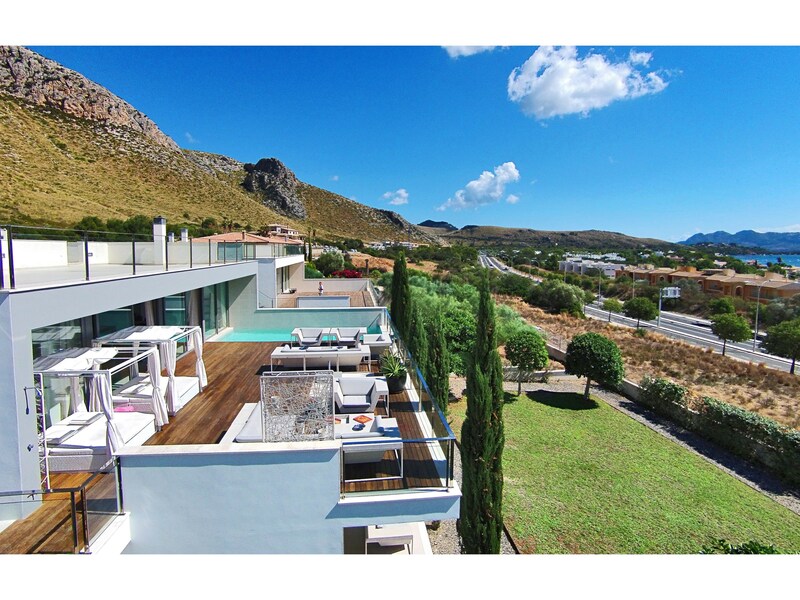 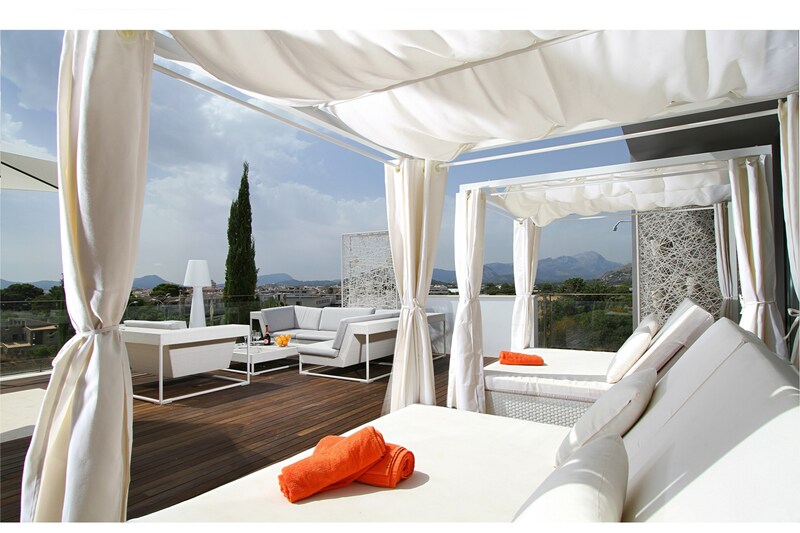 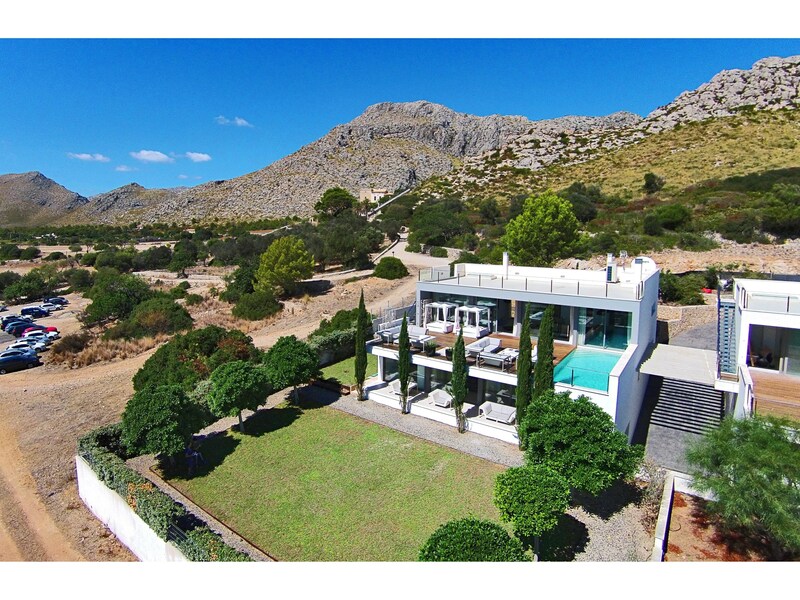 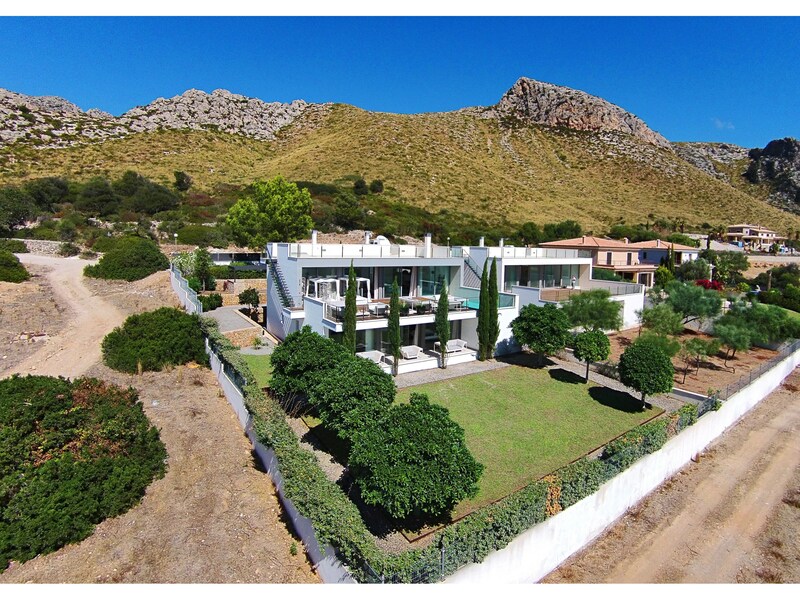 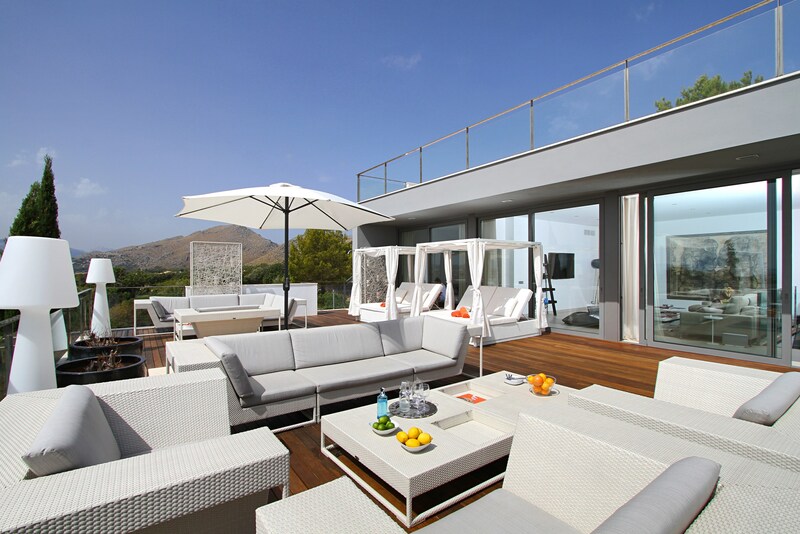 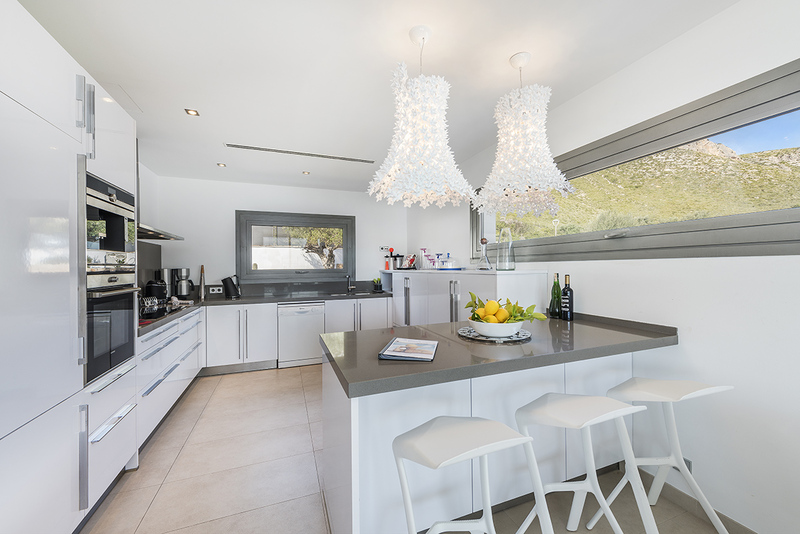 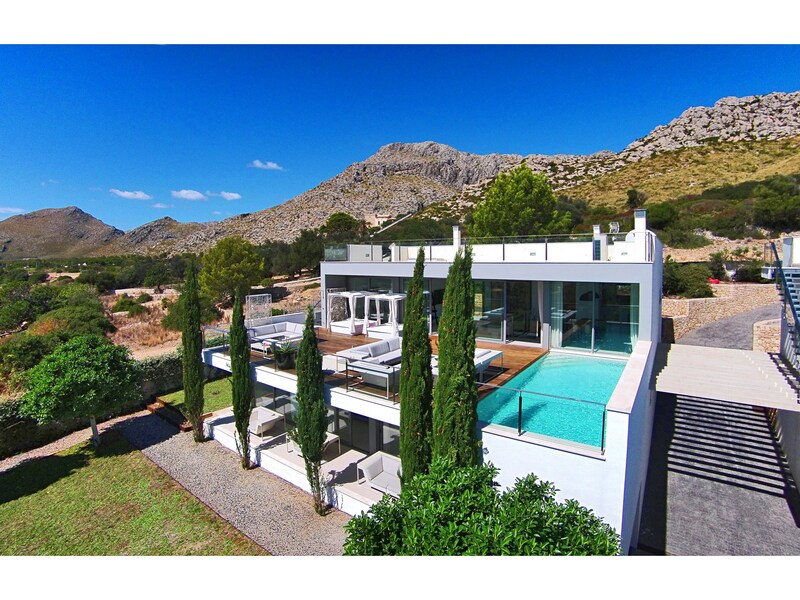 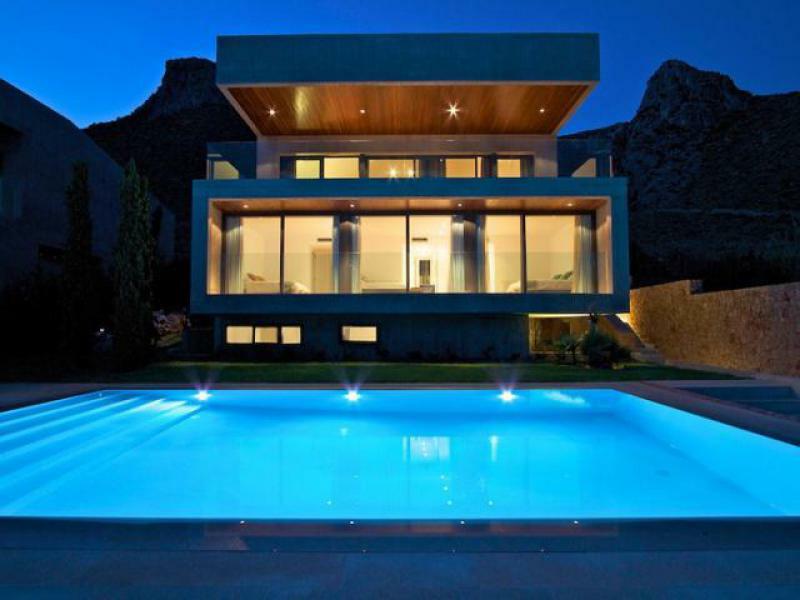 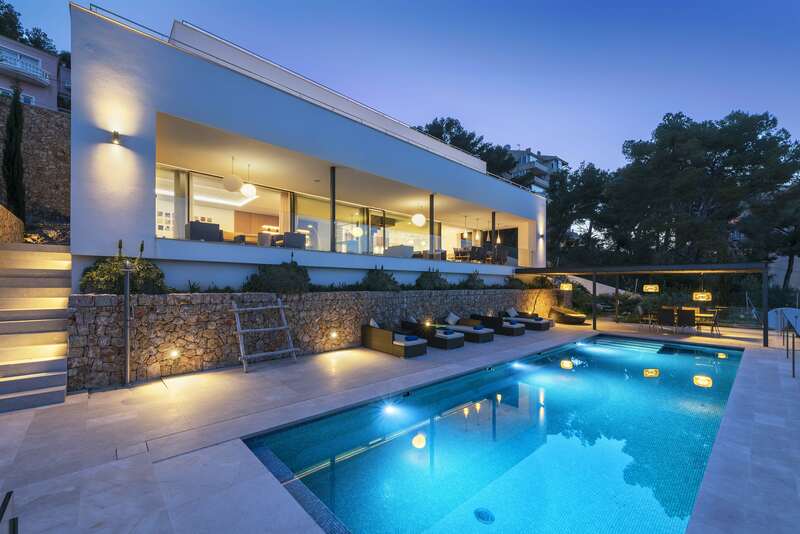 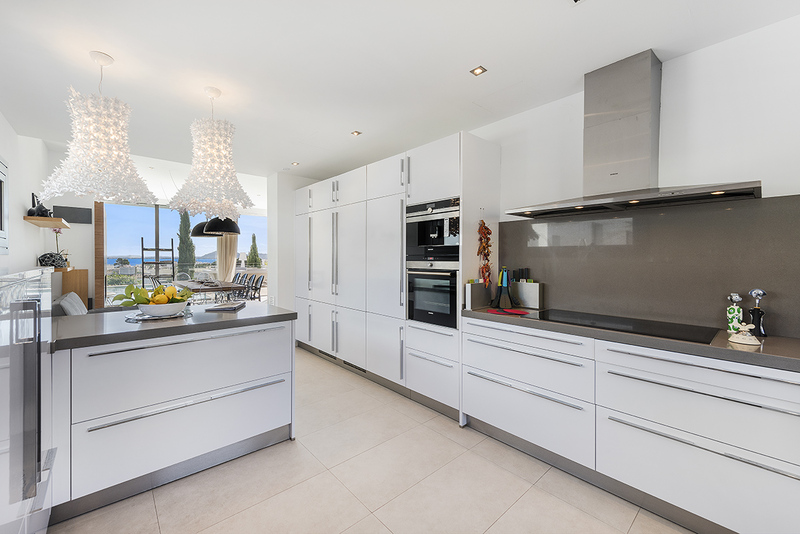 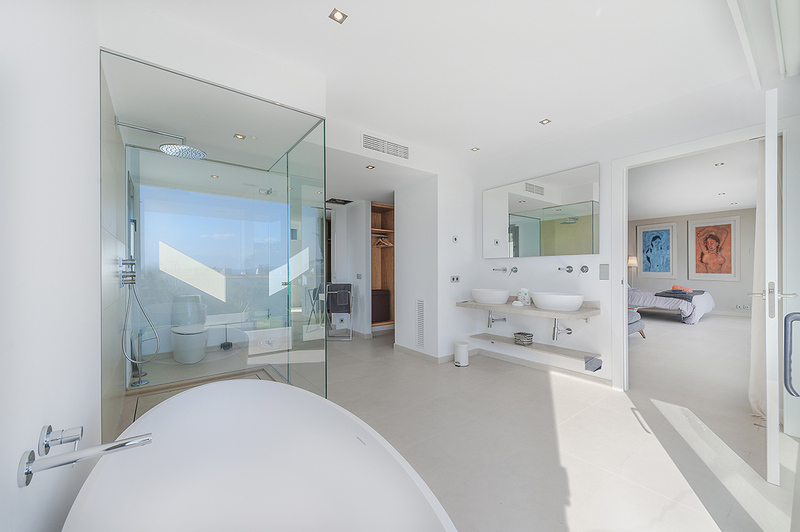 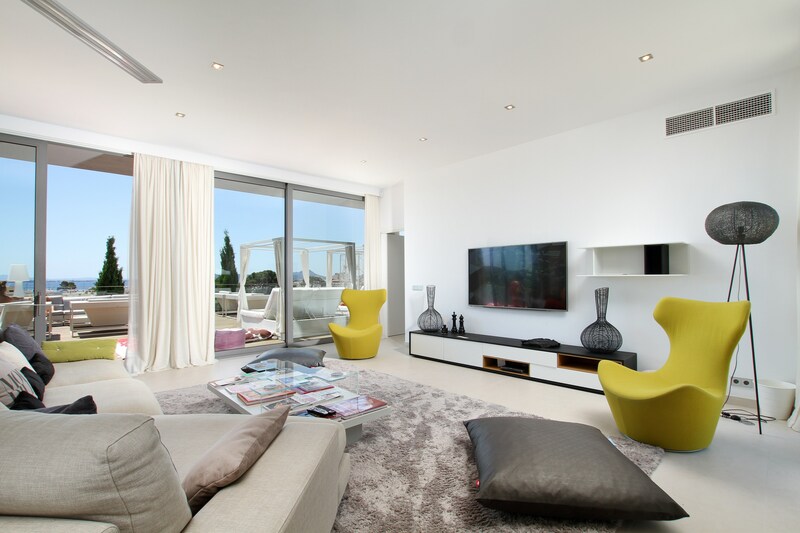 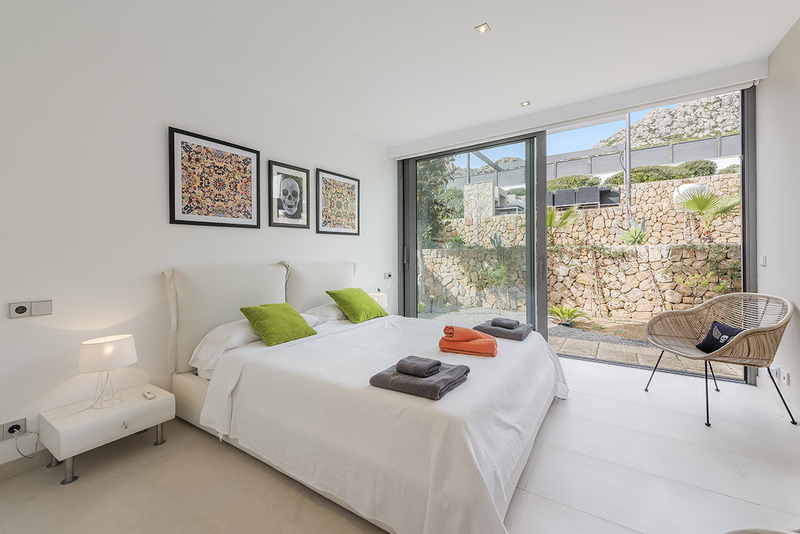 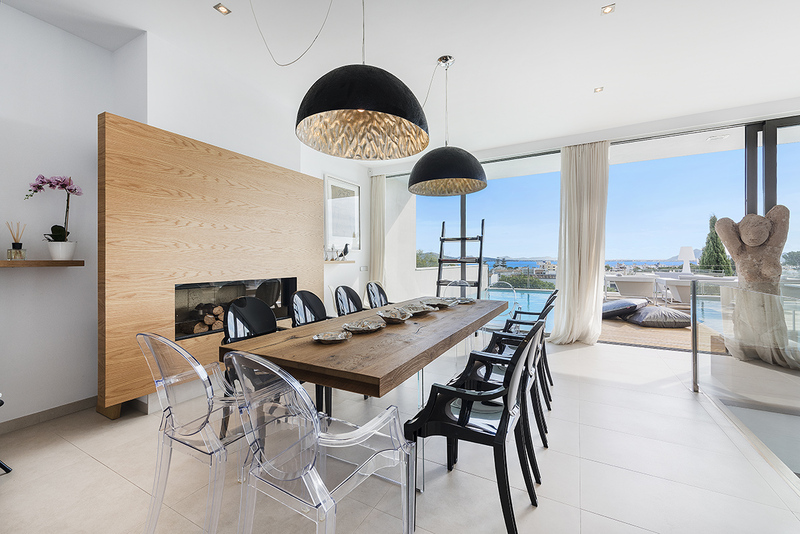 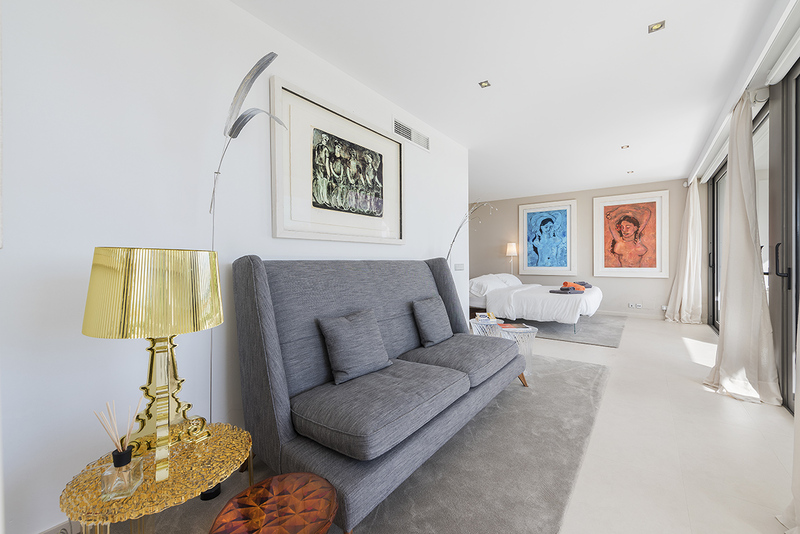 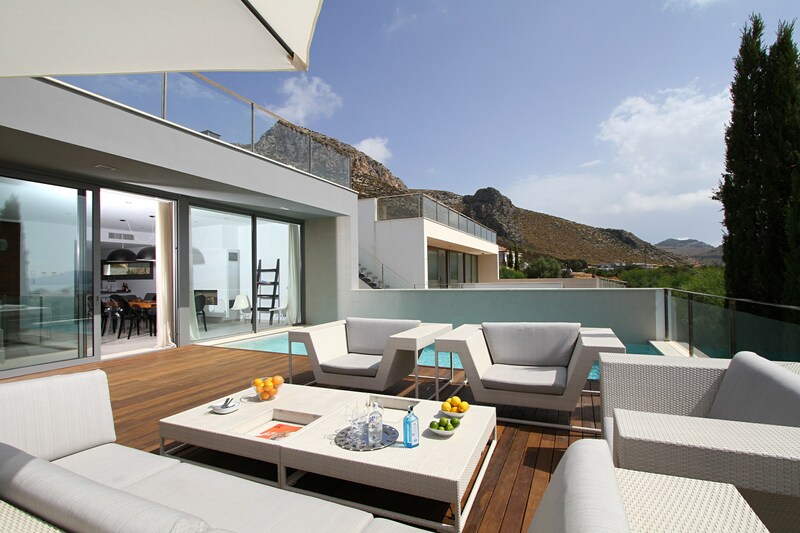 Can Phoenix is an ultra modern, contemporary and well appointed villa located in the Boquer area of Puerto Pollensa. 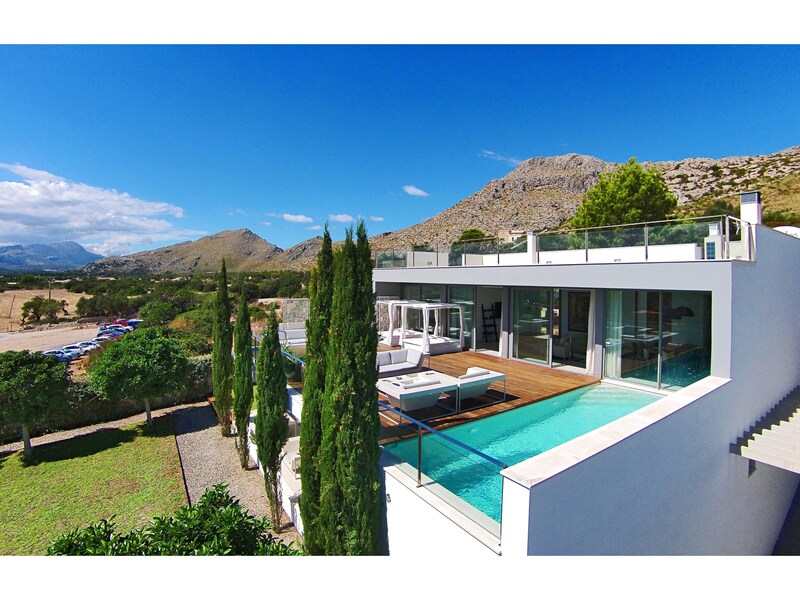 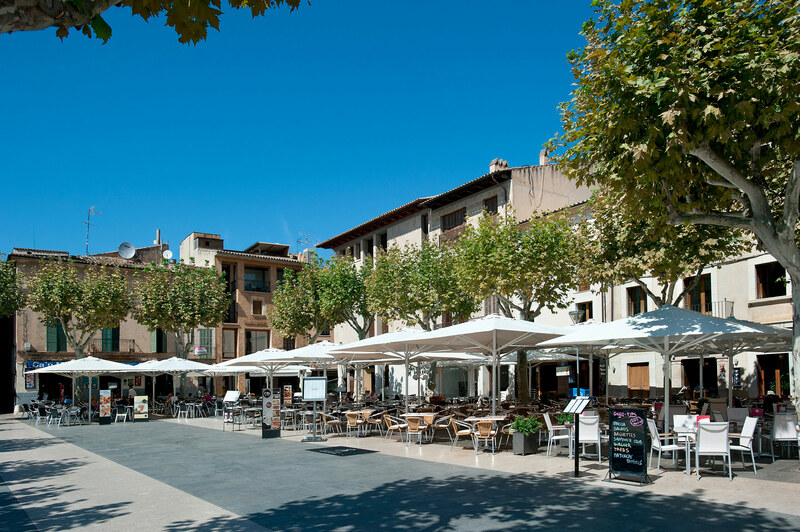 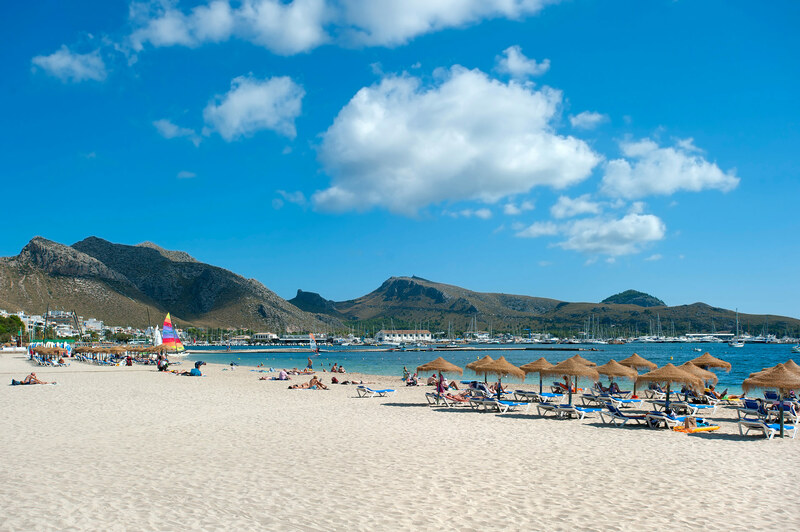 With breathtaking views overlooking the beautiful bay of Pollensa which are appreciated the second you walk through the front door. 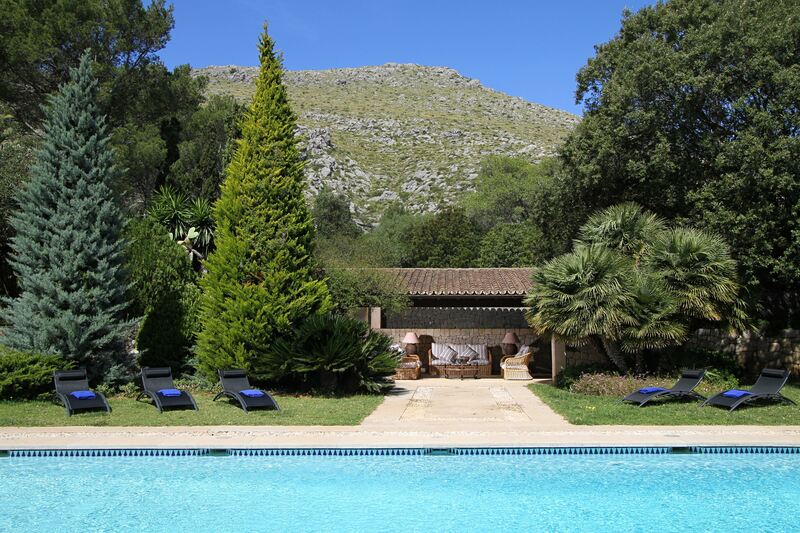 The villa boasts two swimming pools - an outdoor swimming pool and also an indoor heated pool on the lower ground level (both 8m x 4m). 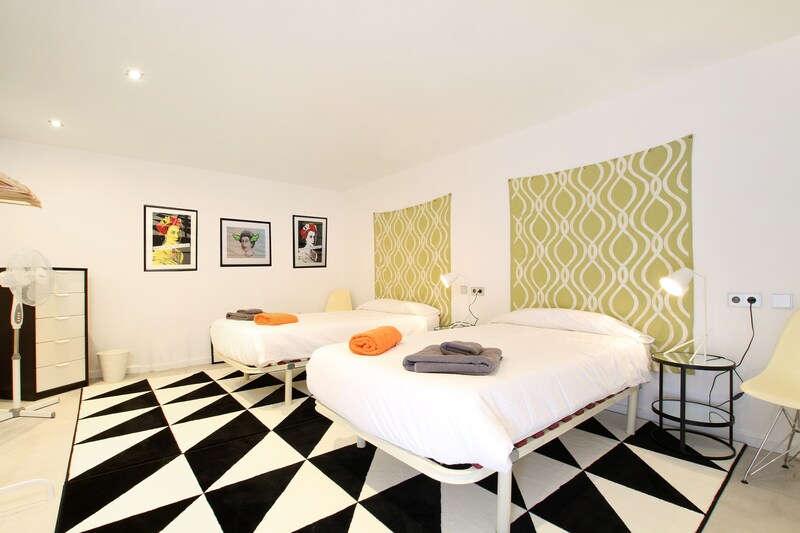 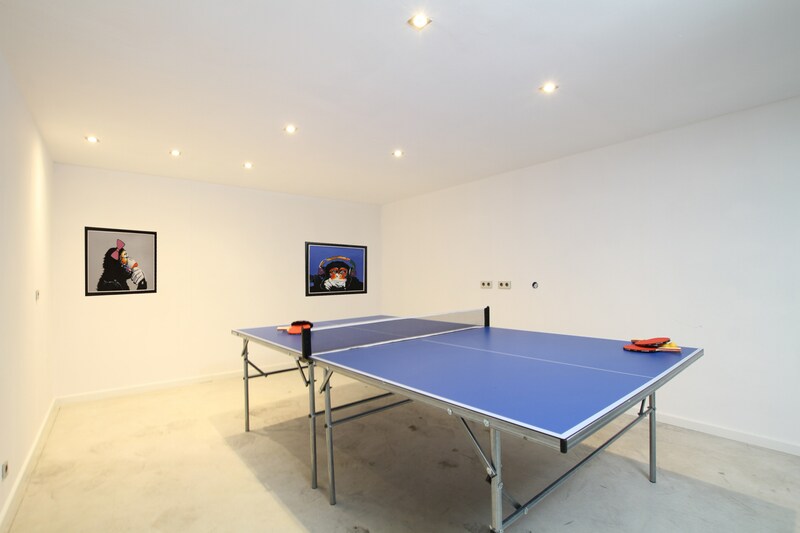 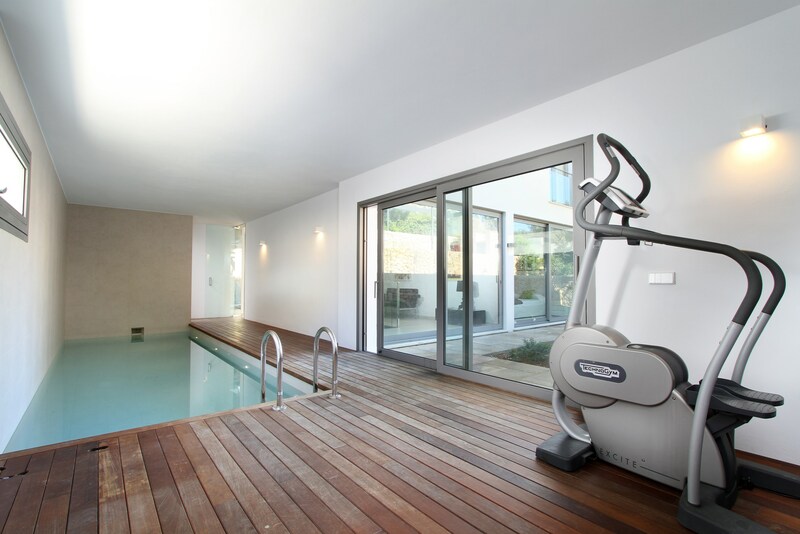 Can Phoenix also has a fitness area by the indoor pool and all the latest mod cons.